Off The Radar For a Bit! 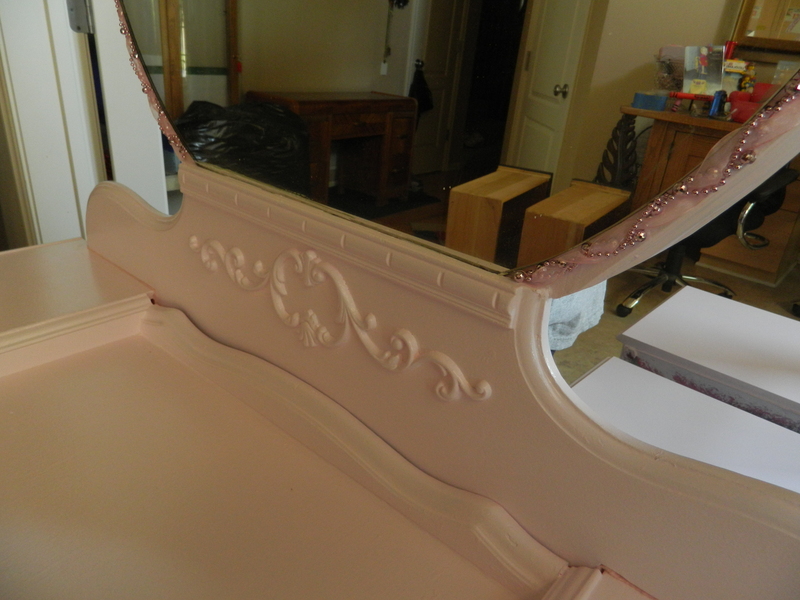 Update of Beading, Gardening and Painting! Things have been a little hectic for me, as of late. Of course that means my project work sort of falls to the wayside while I attend to other matters. 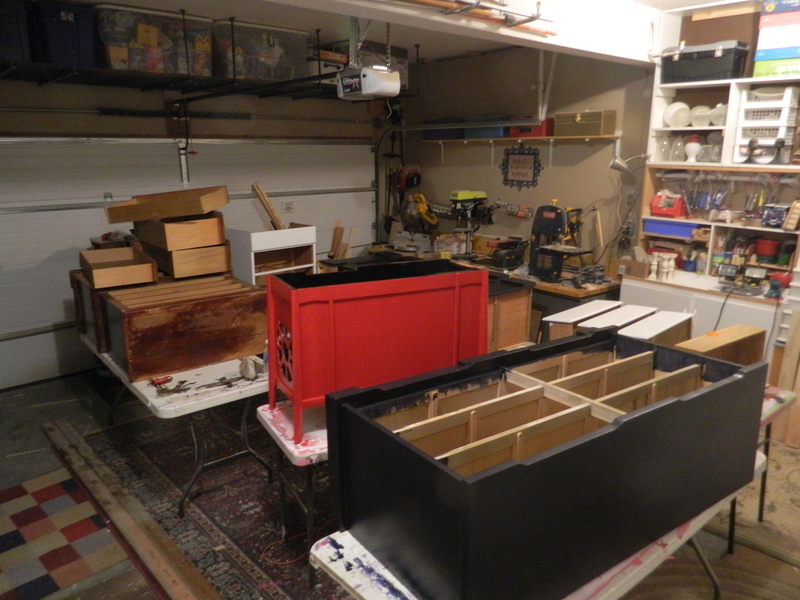 It isn’t anything very interesting or even all that important, but it – along with the fact that my son has been unavailable to me – makes the project work get set aside. Its funny how much we tend to take things for granted. Well, okay, so I should correct that and say how much “I” take things for granted. My son has been involved with something new for him and it has taken him away from home last week, first for five days and now again for 8 days. It really hits home that I don’t have his help – from simply helping me move and pickup items, but also his expertise and knowledge in the work we do. He also has a great sense of humor and fantastic ideas and I miss not having him around for that and for so many reasons. But mostly because he is an awesome kid and I love him . 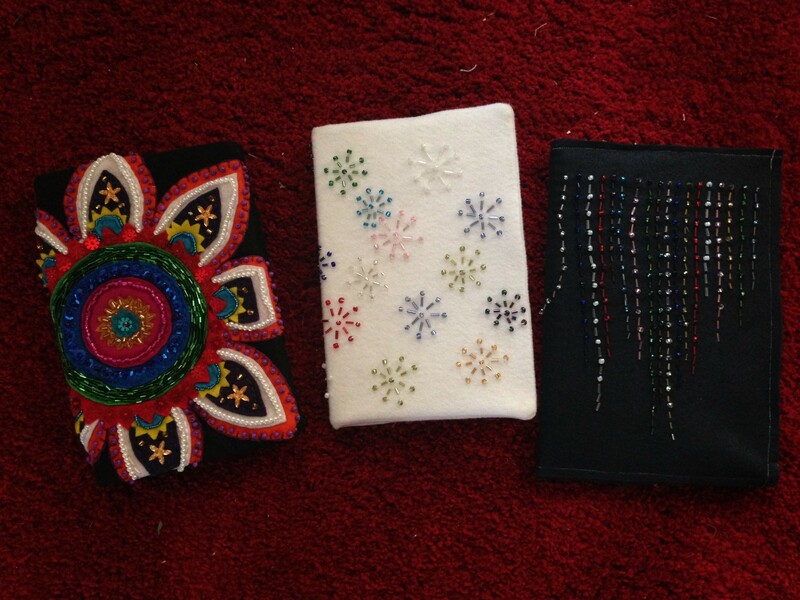 I’ve been doing a little handwork with sequins and beading, just to keep my hands occupied. Sometimes it is funny how I will pick up a new hobby or skill, this time, just by making a small purchase to repair something. Now that I have the supplies and material, it seems a shame to not take full advantage of it and use more of the supplies. In this case, it was a great little case of a variety of sequins – colors and shapes – and seed beads. You saw one of my attempts a few posts back, but have been doing a little reading up on how to use seed beads and tube beads and have completed a couple of more projects. 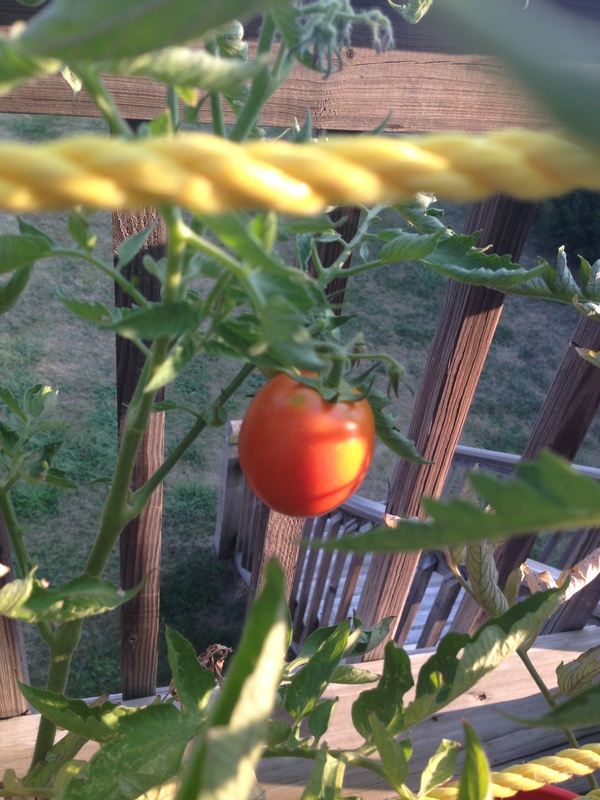 I actually did manage to get my first ripe tomato, albeit a little small. Oh well. 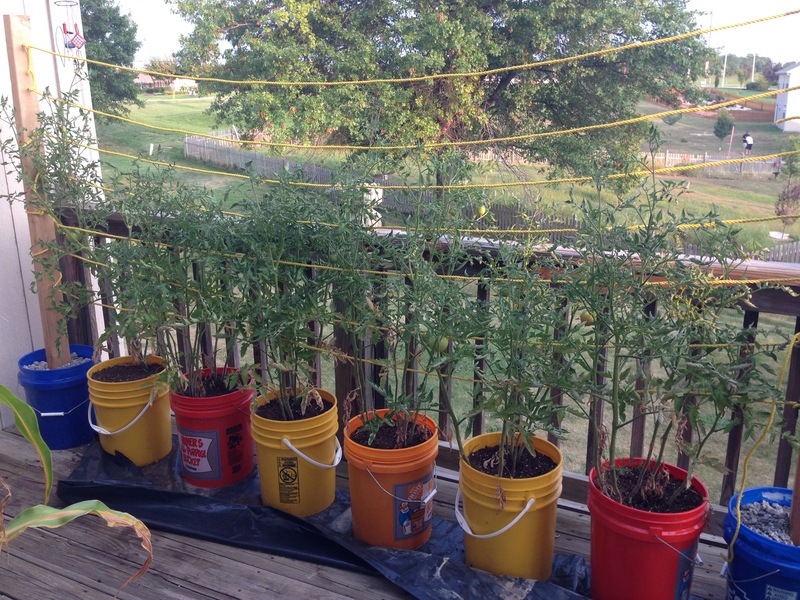 There are some tomatoes… but they don’t seem to be getting very big. The Kid isn’t faring much better with his sweet corn, the one in the container just dried out and the ones out in the yard are packed a little too tightly (I think). I haven’t been out lately, but once I was out to check on the corn, I took a look at my strawberries. Earlier in the year, I knew that they wouldn’t be doing much this year, so I let them just got to seed. Hopefully get some strong daughter plants and have better luck next year. Amazingly, 90% of the plants were gone! Most of the bed was littered with grass, but I was surprised to see that the plants literally were gone! There was a row of strawberries along the house’s foundation, and they had two mature berries. Okay, you want to see sad? 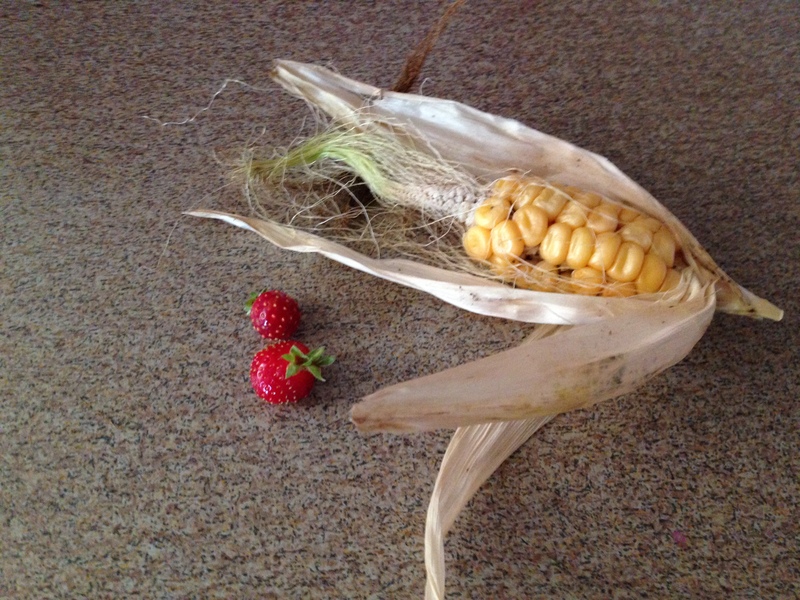 Here was the total “harvest” from the corn and berries. I told you! Sad. On the subject of plants, however, I picked up a really big, very healthy plant from CraigsList. Somehow houseplants fare much better. In fact, even trying to kill a houseplant intentionally won’t happen. When we moved from California to Missouri some years ago, I just stopped taking care of the houseplants since I knew they would never survive such a trip. But even after weeks of inattention, they were still going strong. I moved them out to the yard when we had our huge garage sale and offered them to people as incentive for buying our other stuff! 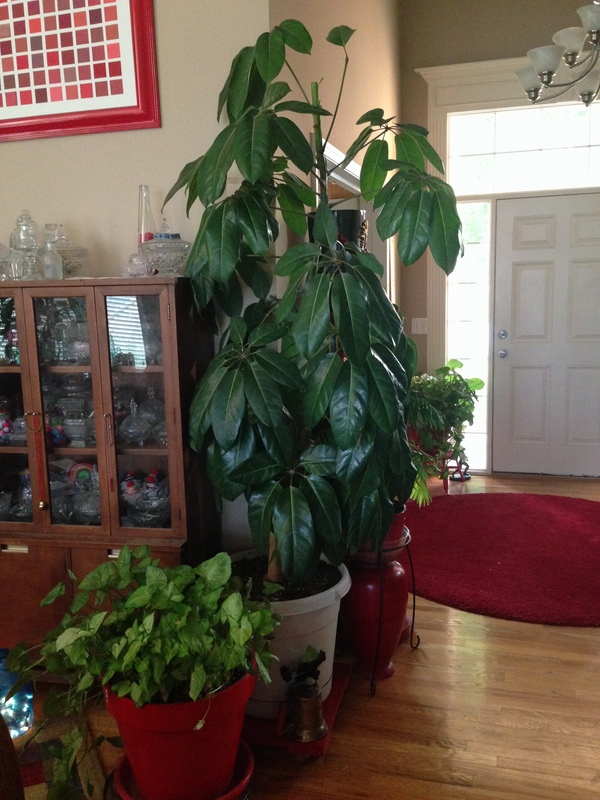 So, this plant I picked up from CraigsList was a schefflera. Only thing “wrong” was the fact that it was growing too tall for the office waiting room it lived in! A bit root bound, so I replanted in a new larger pot with some Miracle-Gro soil and it is now a new center piece in my foyer. The first couple of times I caught the plant out of the corner of my eye from the kitchen or coming out my bedroom, it scared the life out of me, thinking it was some big hulking man or something! You can get an idea of how tall it is by how it dwarfs the china cabinet (which stands about five and a half feet. And during the pickup, I managed to snap off about two feet of the center stalk. It recovered nicely and is already sprouting new leaves and one at the base. I had to move one of my golden pothos over by the door and now it is going crazy with all the indirect sunlight! 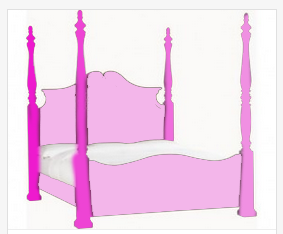 Pink Ombré, Er… Upside Down? 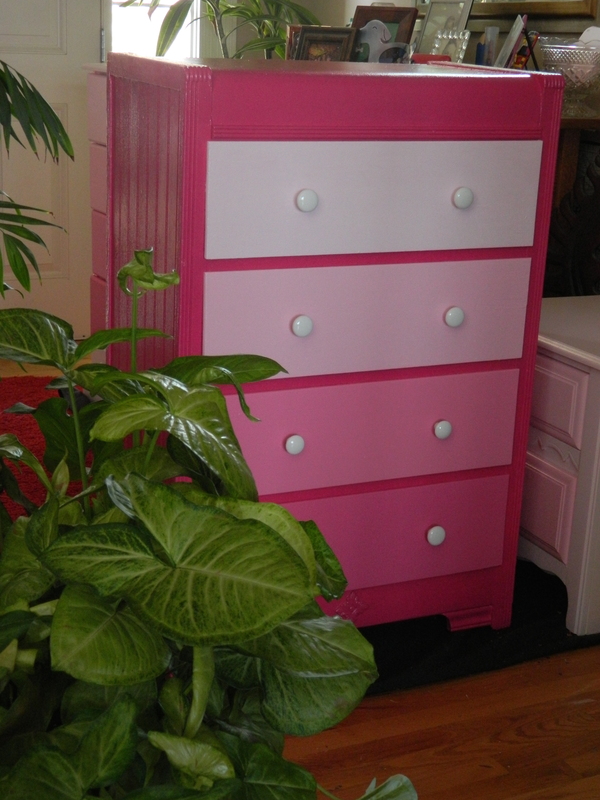 I had one more piece to finish and wouldn’t you know it, I am all out of my base color (pink blush). So, I opted to go bolder, and use a color that doesn’t get used a whole lot. 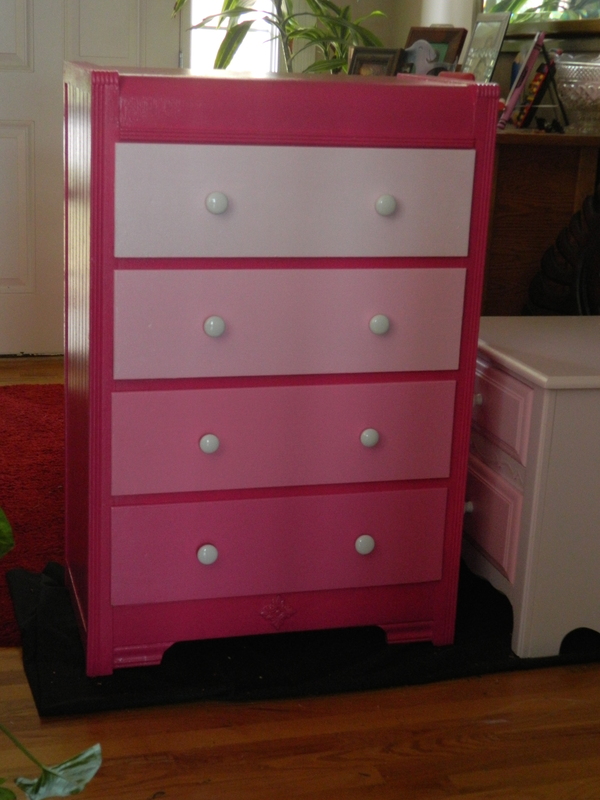 It is my number five color, so it only gets used when there are at least five drawers, which many times they aren’t. 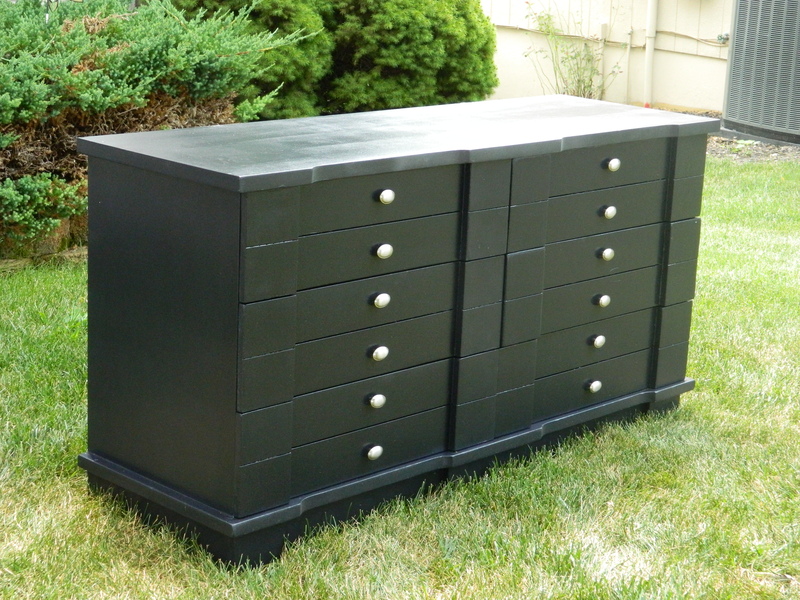 So for this little four drawer beauty, I did the cabinet with the number five color and then four drawers in the “normal” colors. Isn’t it just adorable? 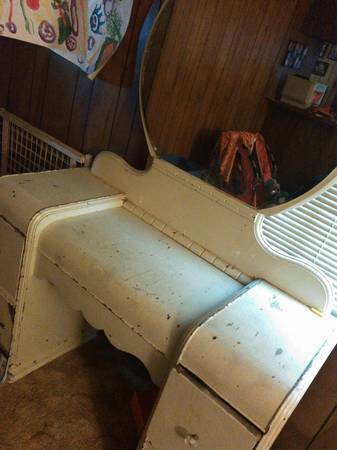 I love when I pick up pieces like this, made sometime in the forties, they are just the minimum of materials, light and well built. 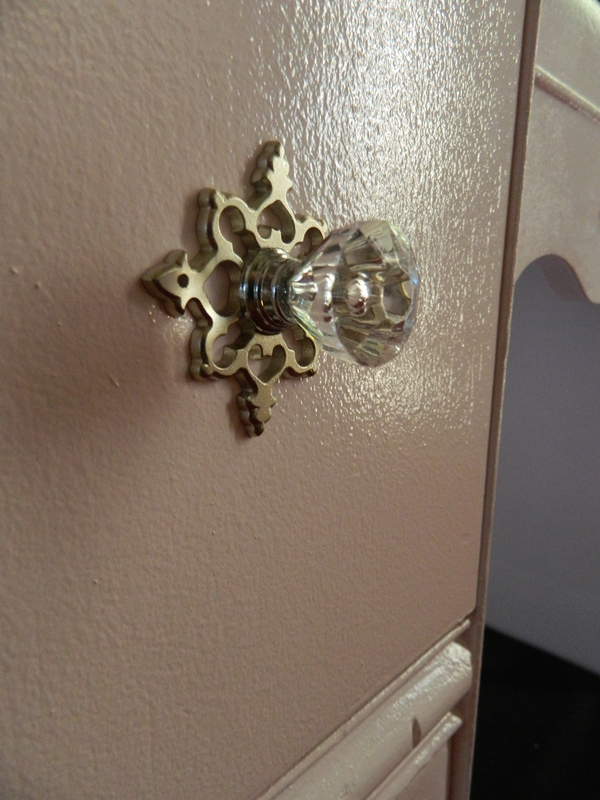 And the classic white ceramic knobs just pop on these colors! So, to replace it, I updated a new hi-fi cabinet. I actually like it better, I think the newer styling – I’m thinking fifties, maybe sixties – and I accented the speaker covers with a simple fabric. But it is just gorgeous and goes really well in my space. 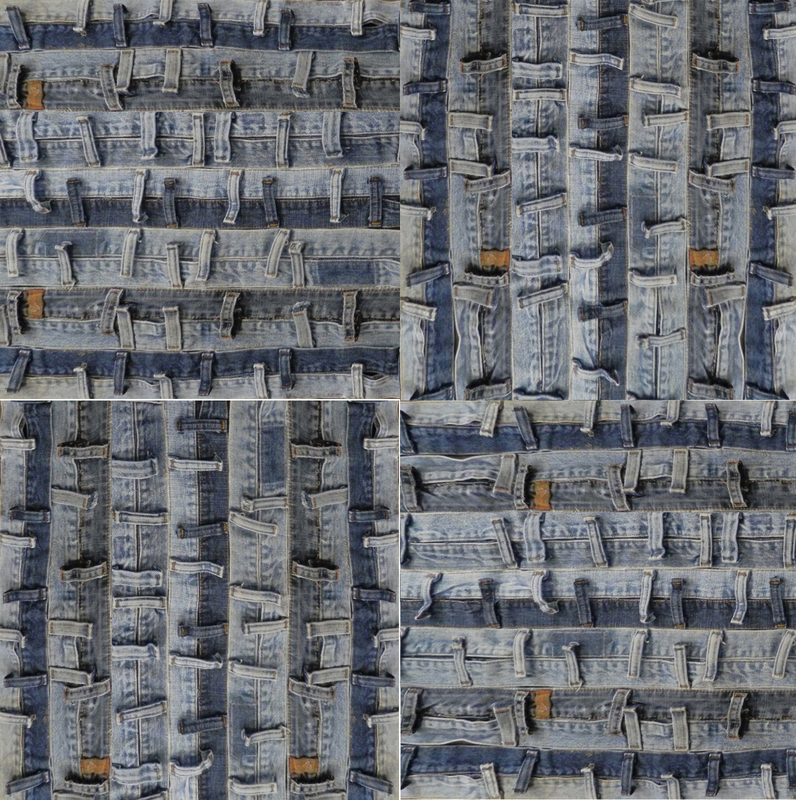 Denim! Is There Anything More American? I started thinking about this as baseball, apple pie and denim. We Americans love our jeans! 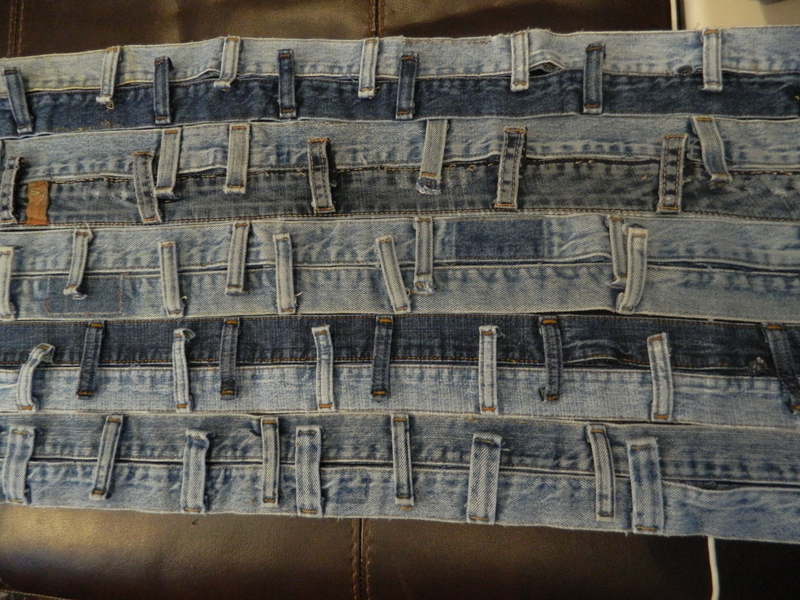 Due to the heaviness of the denim and the small neck opening on my sewing machine, I am going to have to simply add the pairs to the existing piece. Usually, you sew two together, then sew two of those together. Then sew the 4’s to other 4’s, etc., but like I said, that will create way too much bulk and weight. And way too quickly! I’ve been trying to varying the lengths, but they are all over the place. The piece will also inevitably get longer than it is wide, so I am thinking that maybe four large pieces placed ninety degrees to each other. Here’s a mockup to show you what I mean, only you have to use your imagination to include many more waistbands and the thing being a whole lot bigger! I haven’t been able to decide what to do with the metal clasp/button. They wouldn’t be nice to lay on or step on and most of the time they aren’t lining up with the band below or above it. 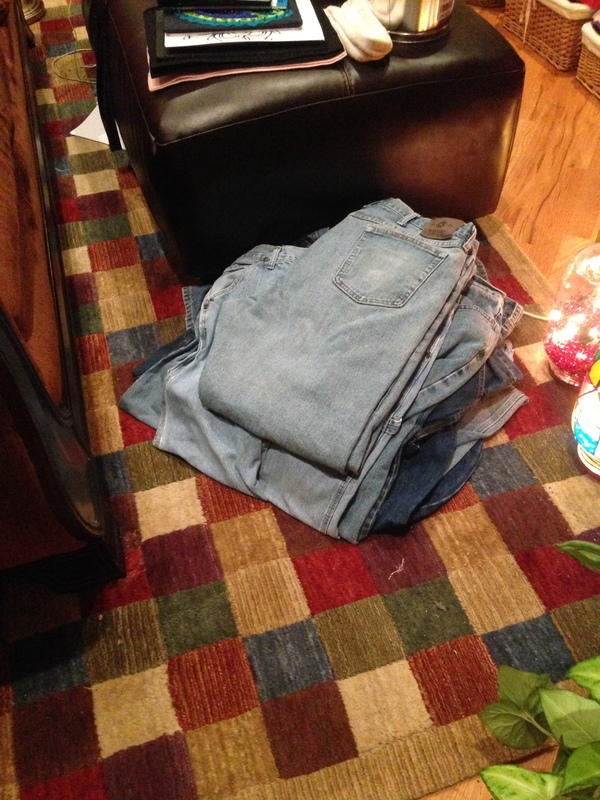 But I think it is kind of an essential part of a pair of jeans, so I am tempted to figure out a way to use them. I guess we’ll see. Another thing that I’ve not decided if I will resew the belt loops back down or glue them – either way it will have to be a lot of hand work. I like the look of the belt loops, but this is going to be a heavy and it won’t be able to be top stitched – so not a “real” quilt. But it is going to be heavy and warm, I promise! So far, I’ve not lost a single needle yet to this work, as the waist bands are generally only two layers thick, unless you hit one of those &@#$! belt loops. :-\ And wow, with the zigzag stitching, it is using up a LOT of thread and bobbins! I have been trying to use a light blue matching thread on top, and white for the bobbin. I have to say, though, there is something inherently beautiful in denim – especially as they come out of an old pair of jeans. I had a few pieces, like from the zipper enclosure or a side pocket or seam and just love the way that the fabric fades and wears. The varying degrees of exposure to sunlight and the dimpled, wrinkled way that seams create wonderful color variations are something to behold. 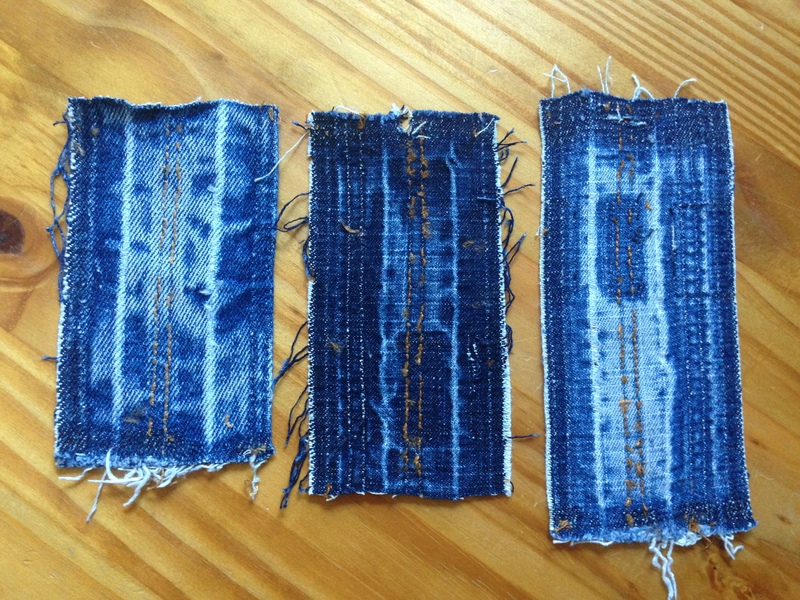 After I go through the ton of denim that I have to be cut into strips for the rag rug, I know I will end up with many weird little shaped pieces. I might see about just using all those weird shapes to create another quilt, less bulk might actually mean being able to top stitch it. And can you imagine using the ubiquitous gold thread to do so? I started this during my sabbatical, but have since returned to work (three wonderful months now!). I am driving down to meet Rebecca, the woman who will be top stitching all my quilts this weekend. 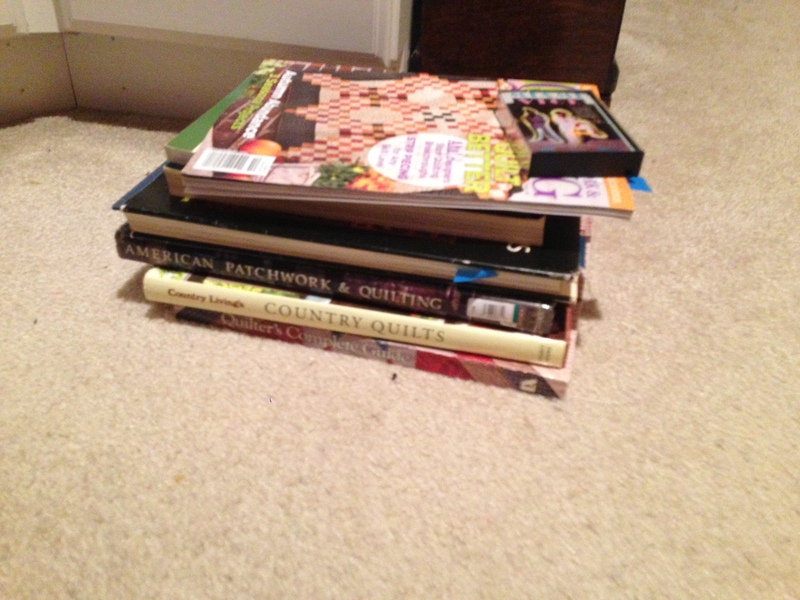 She has invited me to check out Collis Country Quilting – her setup and more importantly, meet. I have so many quilt tops and their backs ready to be completed… I am sure that I won’t even remember doing some of them it has been so long. I want to write a post for Rebecca and her services, so that she can continue to be available for my top stitching (I know, I am selfish!). I am so excited! Assessing Value and Value Added! What is it Really Worth? So, I recently had an email conversation about a piece that I had completed and listed for sale. One of the things I learned very early in life, is that something is only worth the amount of money someone is prepared to pay for it. Value can be a difficult thing to assess. What someone might deem value as one thing, I might think it is something else. But in the end, it will be worth what I am paid. I’ve done many things in my life to earn money. From my youngest jobs of “walking beans” and “de-tassling corn” in Iowa, to a range of professional jobs, starting with secretarial work to my technical career as a quality assurance engineer. And the salaries have been all over the board. In the end, what I was willing to do to earn money was the value of my work. Experience has taught me what is in my own best interest. So, when it comes to pricing the pieces that I create for the blog, it becomes a grey area. Obviously there are some very concrete costs that go into any pieces that I work on, including but not limited to, cost (if any) for the piece plus a lot of smaller costs that shared across projects, like primer, paint, rollers, drop clothes, sand paper, tools etc. and also some soft costs, like my garage space, electricity, gas, phone and internet expenses. And then there is time and talent. I spend a lot of time hunting down pieces, hours and hours spent on CraigsList and eBay and running all over Kansas City. And the time that it takes to complete each piece, and the process of deciding what I am going to do and later, writing about that experience. It has taken a lot of years to develop the experience of creativity. I think back now on some of the things I did then and laugh at my inexperience. Sometimes I realize that talent is a lot about experience, but some of it just comes naturally. And while I have always had a “knack” for creative endeavors, I just never could figure out how to turn that talent into cash, so for most of my life, I just did it for me and those around me. So, when I started writing a blog, I wrote about projects and pieces that I did for myself. 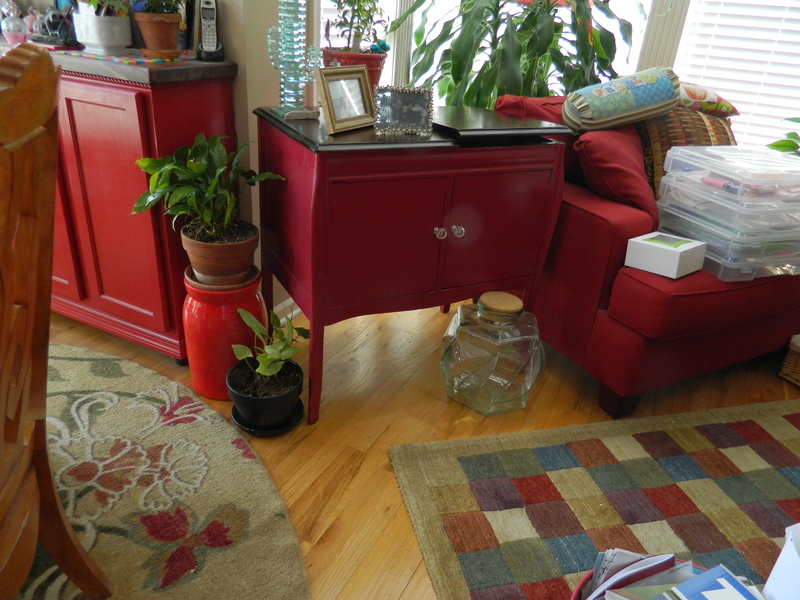 If you have ever been in my home or seen pictures (there are a few on this site) you know that my house is a lively, creative dwelling! Inside and out. 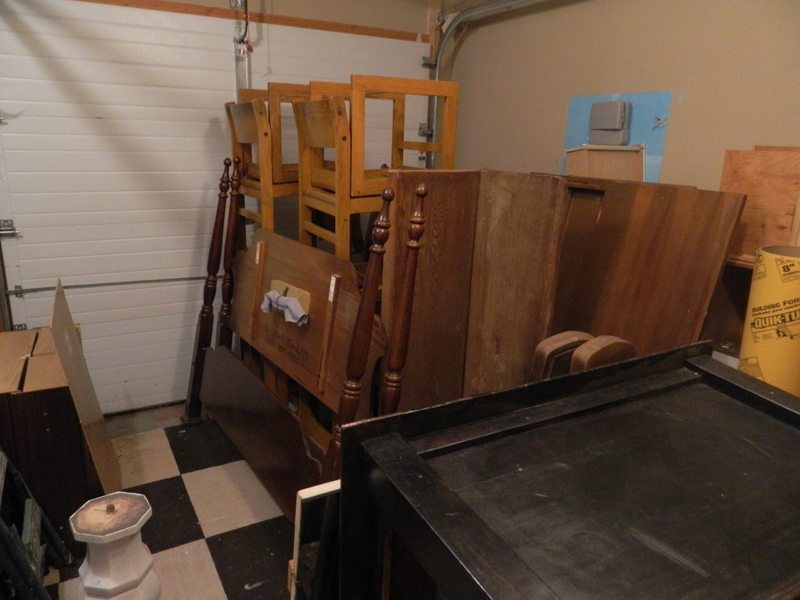 When it got to the point where my home could no longer could hold anything new, I started giving away items to friends. As time allowed me to work more on my creative side, it turned out that I could turn those items into cash, allowing me to fund bigger and larger projects. And to allow me to add great tools to my workshop and my sewing room. 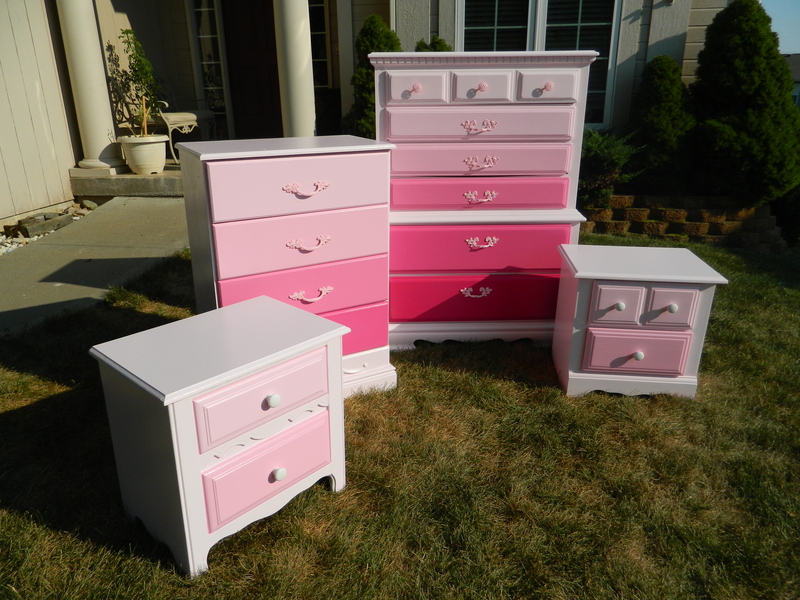 As I worked and sold pieces, I realized that I could be underpricing many of my projects. It has occurred me that I perhaps was undervaluing my work. 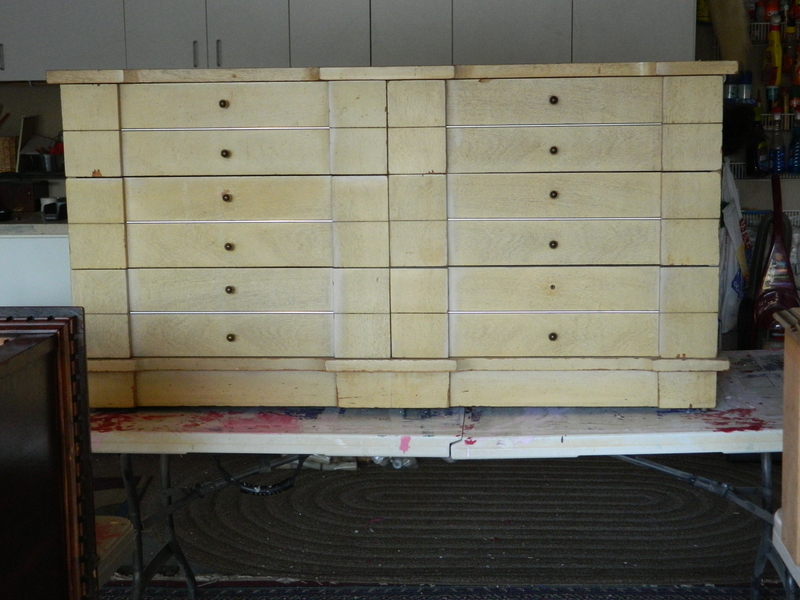 After all, a lot of things go into every piece I do. I list a price, which yes, is subjective, but you have to start somewhere. If it doesn’t sell, if there isn’t any interest, then I will lower the price and entertain offers. At times I will offer these pieces to someone who cannot afford even these prices. But back to the conversation. Somehow, at times, someone can say something that isn’t meant to be offensive, but does come off that way. You see, the piece that I had recently showcased here was for sale. And I provided the link in the ad, so a certain someone followed and read the blog. Awesome! Right? Well, that person then seriously offered me much less than asking price. When I responded and let this person know that I couldn’t accept such a low offer, this person than countered with a slightly higher price. 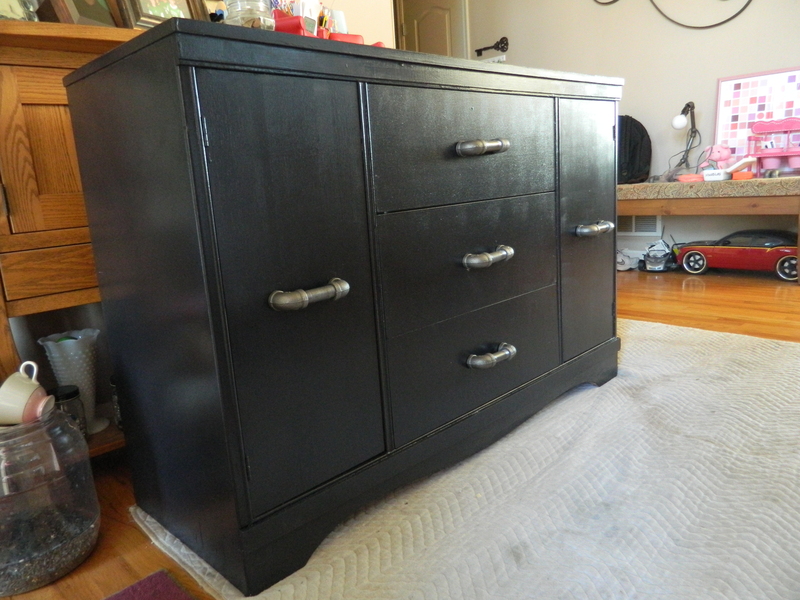 This person also provided a little insight to lack of funds, which could very well have sealed the offer, if this person hadn’t also said, “but I also know you got the dresser for free”. I have to tell you that I was very offended by those words. As if the only value that this person saw was in the actual physical piece. But not really in everything that went into it – as I’ve outlined previously. 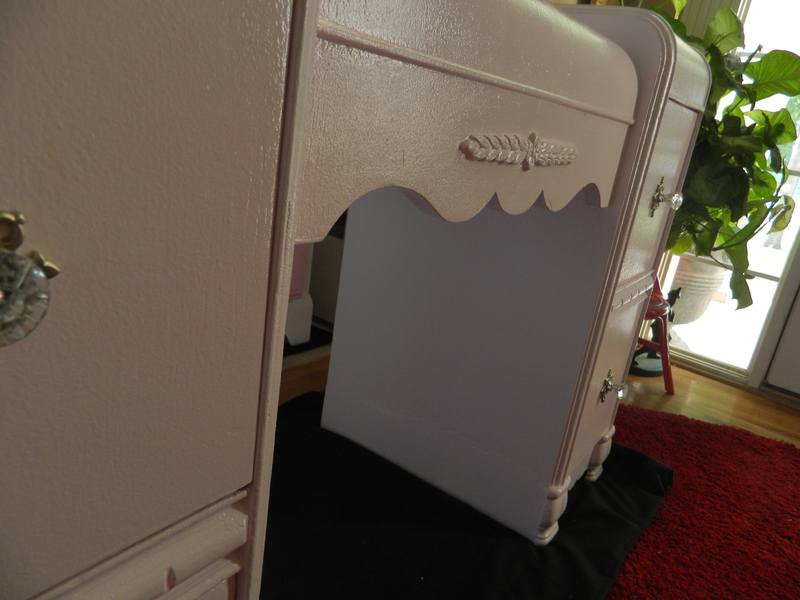 Not sure what I am looking for with this post, other than to maybe explain what some people do not see in the finish project. 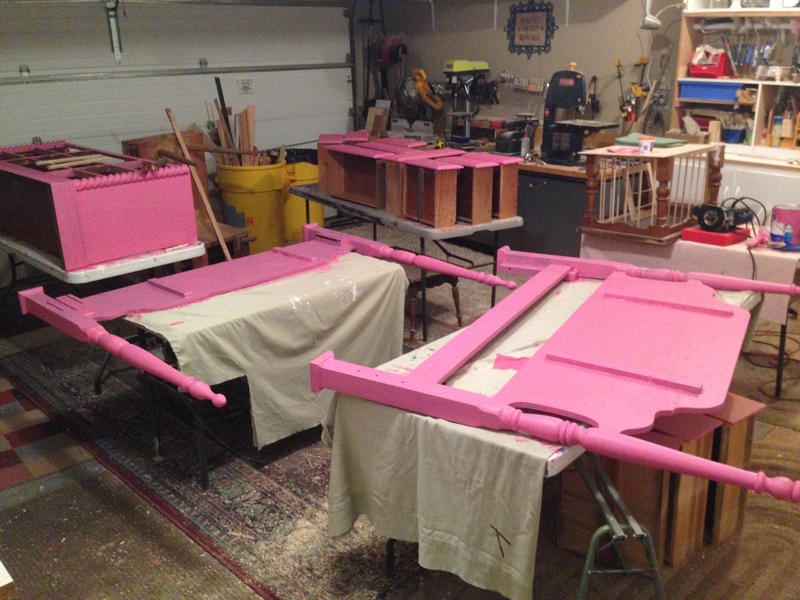 And maybe, just maybe, one more person can truly appreciate what goes into a project piece. Looking for Your Feedback! Please? If you are a regular reader, you may know that I have been attempting recently to start my own business. The problem has been that I go into each venture, each idea, with much enthusiasm and good intentions. But somewhere along the line, something happens and I shelve the idea. With my recent increase of watching entertainment (I think to call it ‘watching television’ to be technically incorrect), which includes programming with different languages, I have been watching using closed captioning. It certainly started by watching British television; some of what was being said with accents were down right unintelligible! But once the CC (closed captioning) was turned on, it stayed on. It has become sort of a game with me and The Kid. 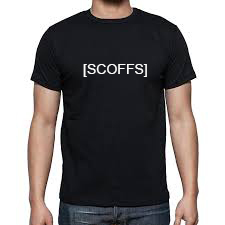 Our personal favorite is [SCOFFS]. We repeat it whenever it is displayed. I, of course, win most of the time, as he “watches” while he is engaged with his laptop or phone. But we have taken to actually just saying the word whenever we feel that we, ourselves, are engaged in a scoff. So, it occurred to me that it would make a very funny tee. It would definitely be an inside joke for us, but entertaining for others. I am sure that we are not the only ones watching television with CC on. And not on because we’re all going deaf, but for the simple reason that we can now really “hear” what is being said. a) Would you buy such an article of clothing? b) Would you wear it? c) Would you give it as a gift? d) What would be your favorite CC description? e) How much would you expect to spend (does not include shipping and/or tax)? I am including a short list of CC that I would like to use, but have almost a hundred others. Before I go head first into this venture, I would love some feedback from you! I also have to mention that the CC word would be embroidered onto the shirt, not a transfer. And the shirts would be of a better quality than many of the mass produced tees these days. Second only to the pink ombré color scheme, is my favorite color black. It is actually called “Deep Space” and has just a hint of blue in it. 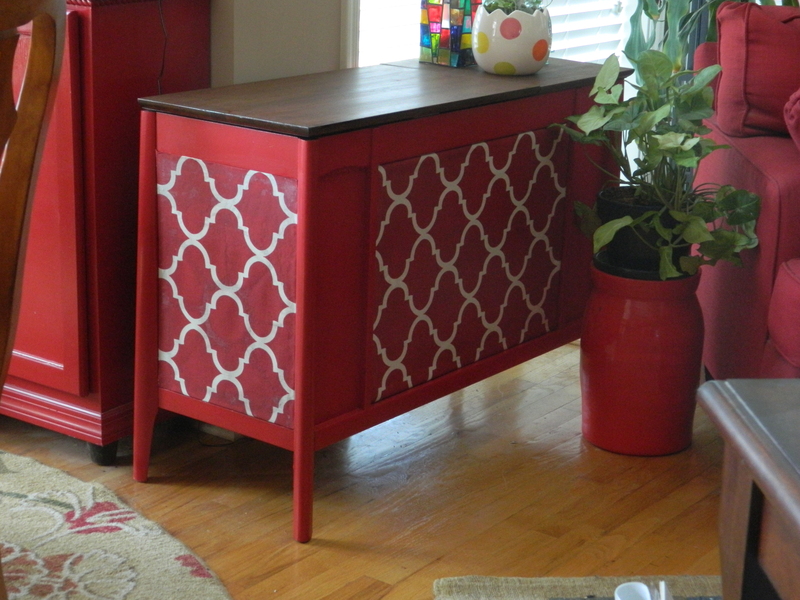 In the semi-gloss finish, it just makes pieces absolutely stunning! I first used this when we re-decorated The Kid’s room. The room had been first decorated when we moved here from California. At that time, being nine and all, he was fascinated by everything to do with the military service, but aren’t most little boys? Two walls (and a closet wall) were painted with camouflage in three colors over the base coat of tan. But about the time of his 16th birthday, he had grown tired of the scheme and wanted something more “grown up”. Thus was born the “industrial chic” look. 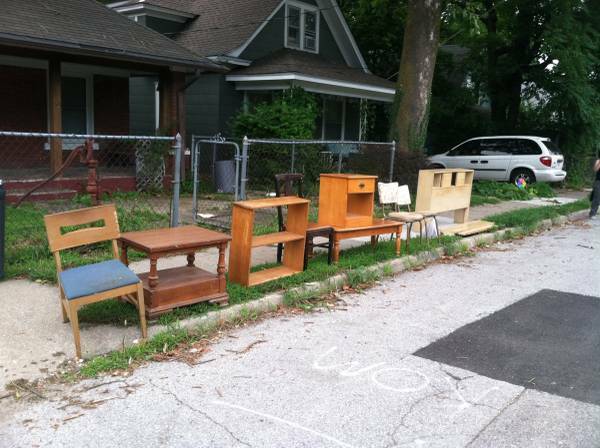 Recently, I ran across an ad on Craigslist listing some free furniture. We were quick to head over there. Looks like some good stuff, right? Well, it was, in fact it got better after we got there. 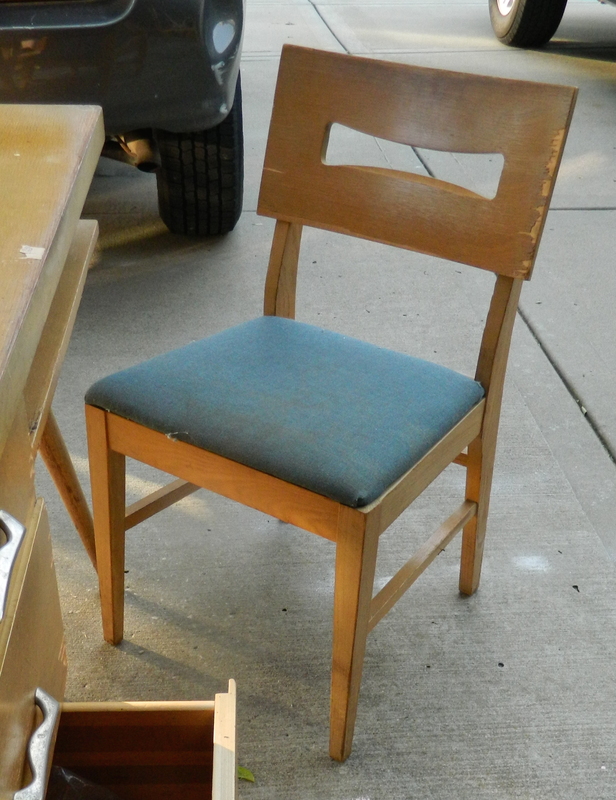 Some of these pieces were already gone, but I did get the chair and the side table (the two most left pieces). But as we pulled up, the woman living next door came out to meet us and told us that she was coordinating the removal of everything from the house, as the renter that lived there had died. 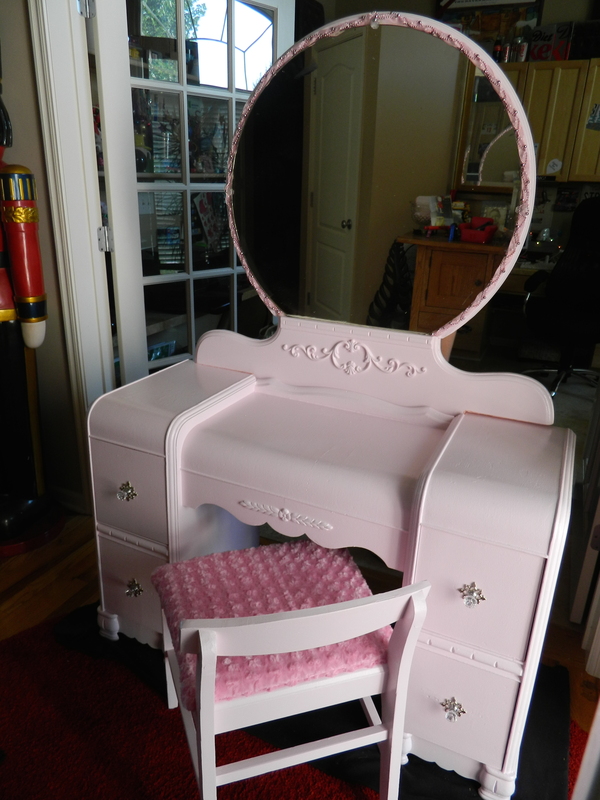 She escorted us into the house and we were able to get an old 50’s blonde dresser with mirror and a blonde desk (which the chair in the picture above accompanied). I was trying not to be too greedy, as there had been someone else who was returning for other pieces. We didn’t have room for everything in a single trip, so we agreed to return the next day. I figured by then we could probably have whatever was left! 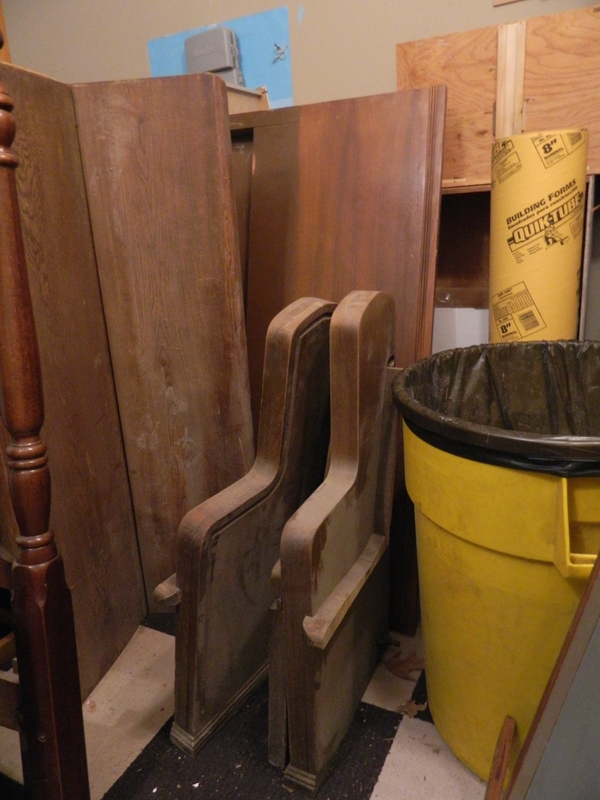 It was in absolutely great shape for its age… although the drawer tracks needed a little work. 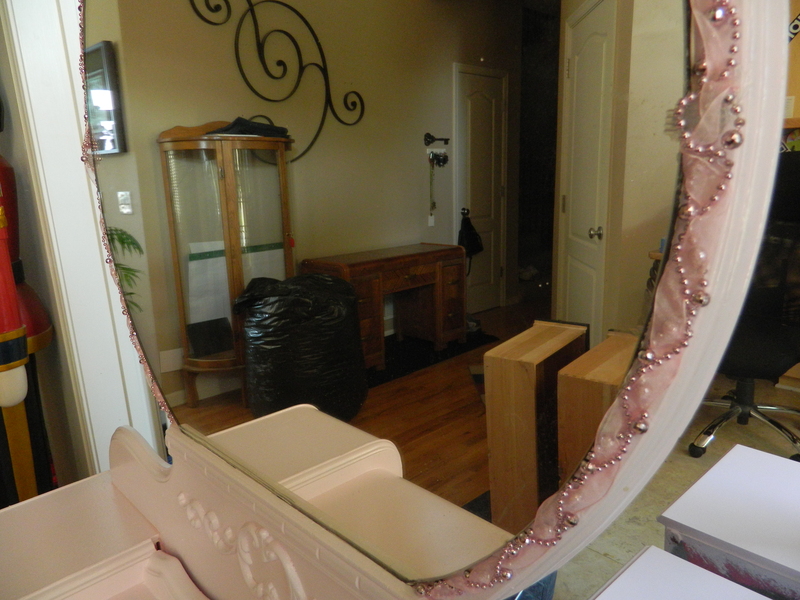 Oh, and there was some damage to the back where the mirror was supposed to be attached; it looked as if this piece didn’t originally have a mirror due to the damage. 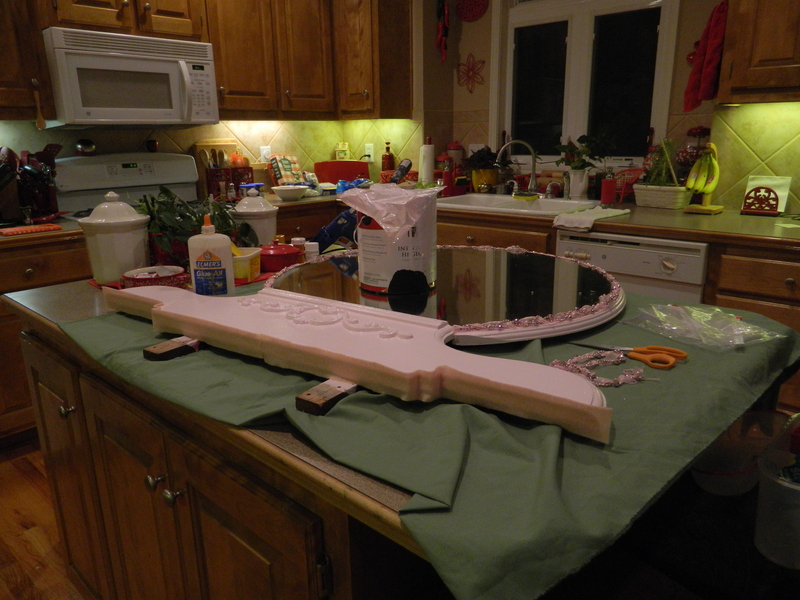 Glue, sanding and priming were the first order of business. It sat a while as I tried to decide what to do with it, although really not long at all. As I was arranging and taking inventory of what paint colors I had available, I found a brand new, unopened can of the “Deep Space” black. It was like lightning had struck! Didn’t that turn out beautifully? We had originally wanted to re-insert the metal decoration but found that the space for them had too much paint to accommodate them. We spent a little time trying to clear the channels, but in the end it was going to completely too much work. 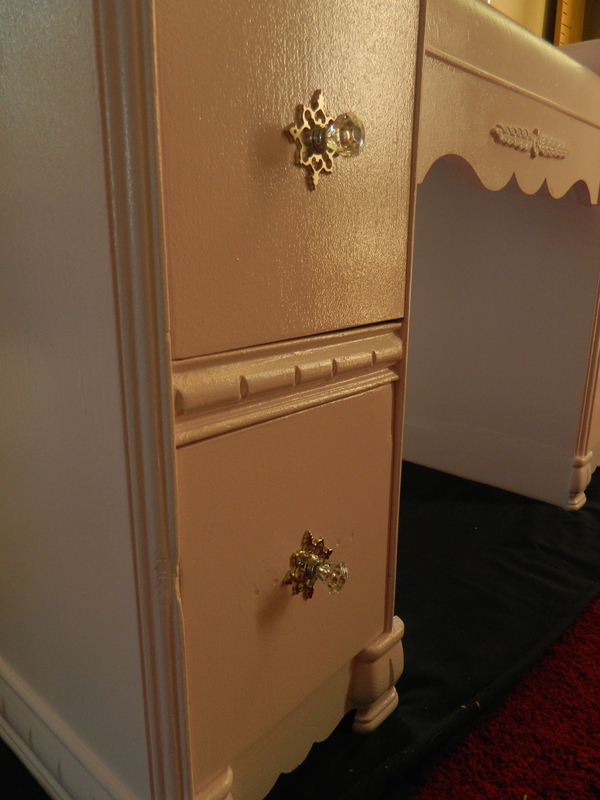 I added fairly simple knobs in a silver finish as the final touch. And in the end, I love the clean way it presents. This is another of “those colors” that just don’t photograph to show the true depth of the color. In person, this is just majestic! The same with my son’s piece. I was almost finished working on this piece, got the photos and writing the text when it occurred to me that I forgot to show the mirror! 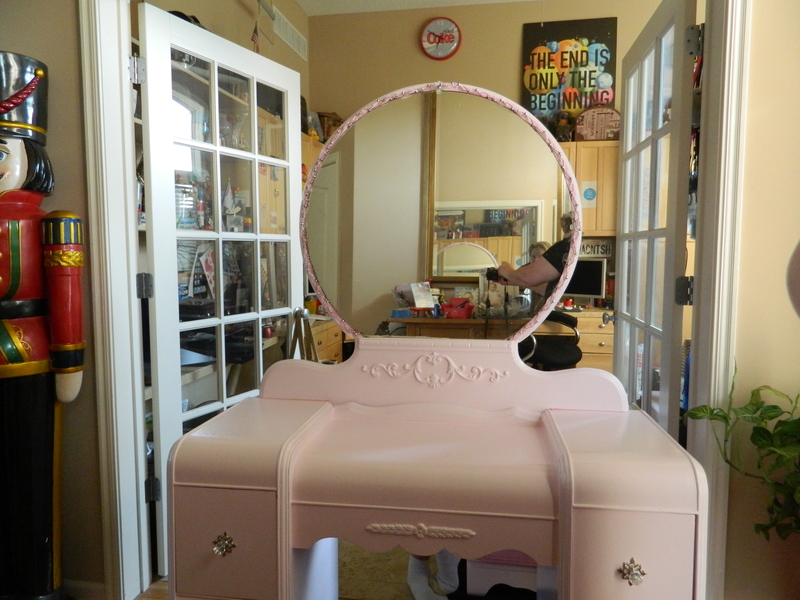 Its a wonderful frame-less mirror with rounded corners, which attaches to the back of the dresser. I am thinking now, that I don’t think I will include the mirror. 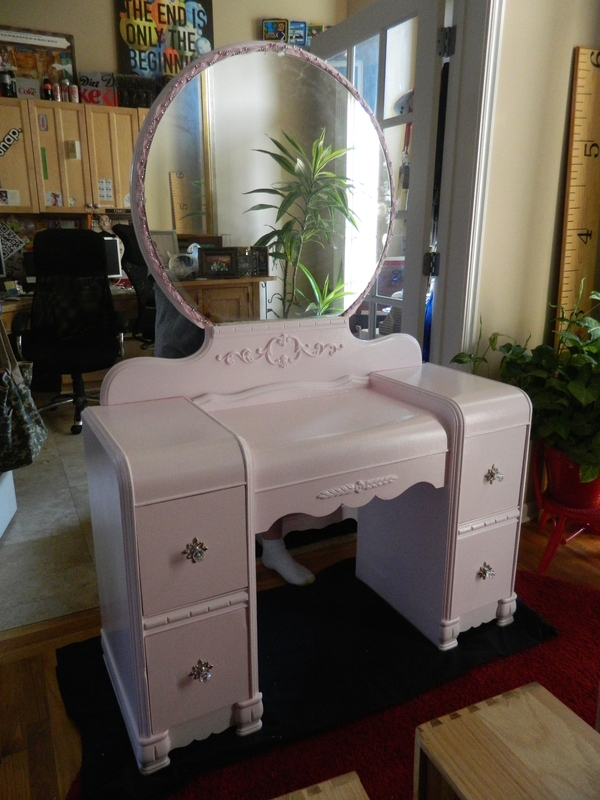 I suspect that this would most likely sell to a man and am pretty sure the mirror would just be unnecessary. Maybe I will hang onto it for a future piece. 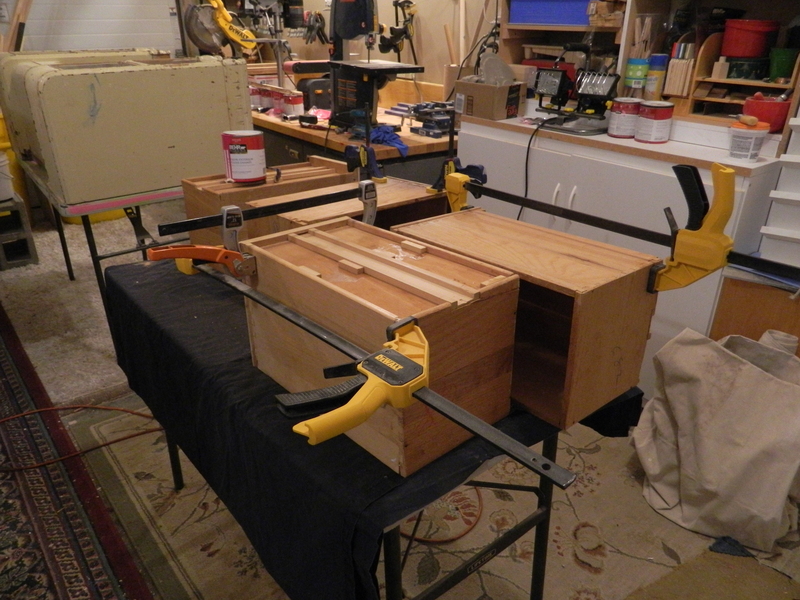 I am on the last steps to several projects, so this week the blog posts will occur with more frequency.